Turn on your broiler and set it to high. 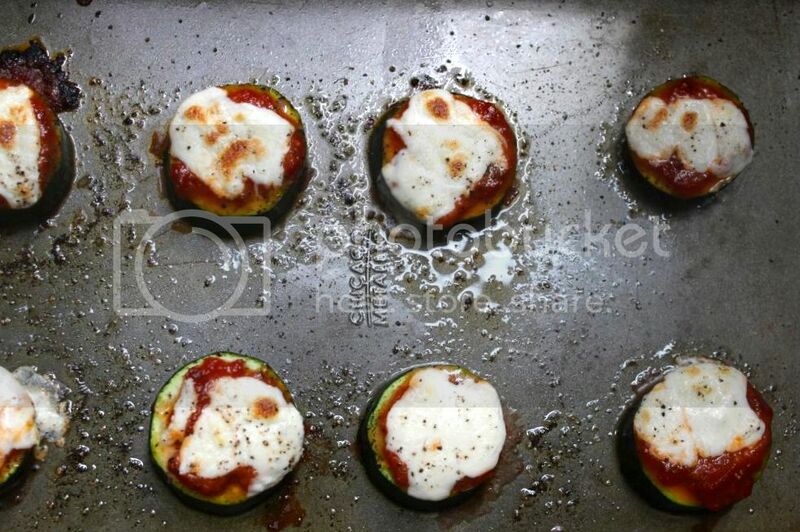 Slice your zucchini into rounds about 1/4 inch thick. Lay them on roasting pans. Drizzle all pieces with olive oil. Spread about 1 teaspoon of tomato sauce on each slice, creating a very thin layer. 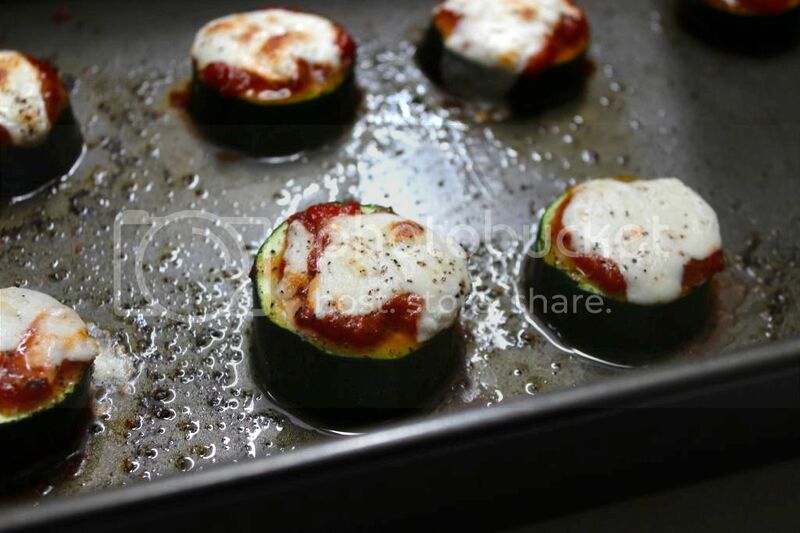 Tear your mozzarella into little shreds and lay a couple of pieces on top of each zucchini slice. 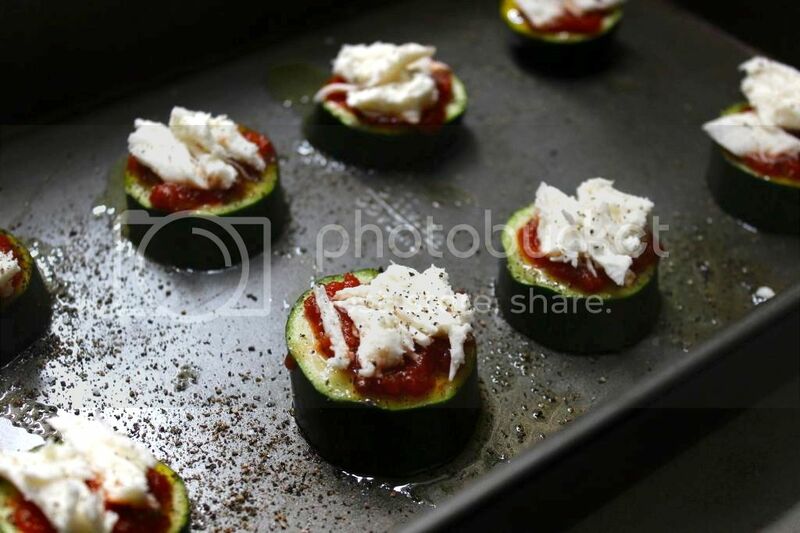 Sprinkle all with salt and pepper and give everything another drizzle of olive oil. Place your roasting pans into the oven and broil for about 8 minutes, or until the cheese is melted, bubbling, and golden brown in spots. Adorable! 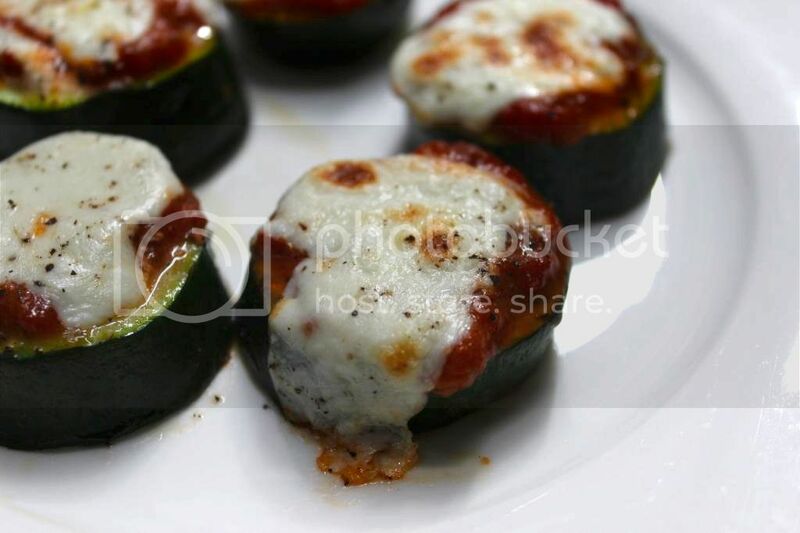 I'm supposed to bring an app to a dinner party tomorrow night... these would be perfect! Hope you made them and loved them! Of course--thank you for reading! looks incredibly yummy... will have to "borrow" this idea from you, carol!